Earn rewards playing with apps. It's free. Install here and get 300 points. By invitation only. You will need to find a friend who has an invite link. 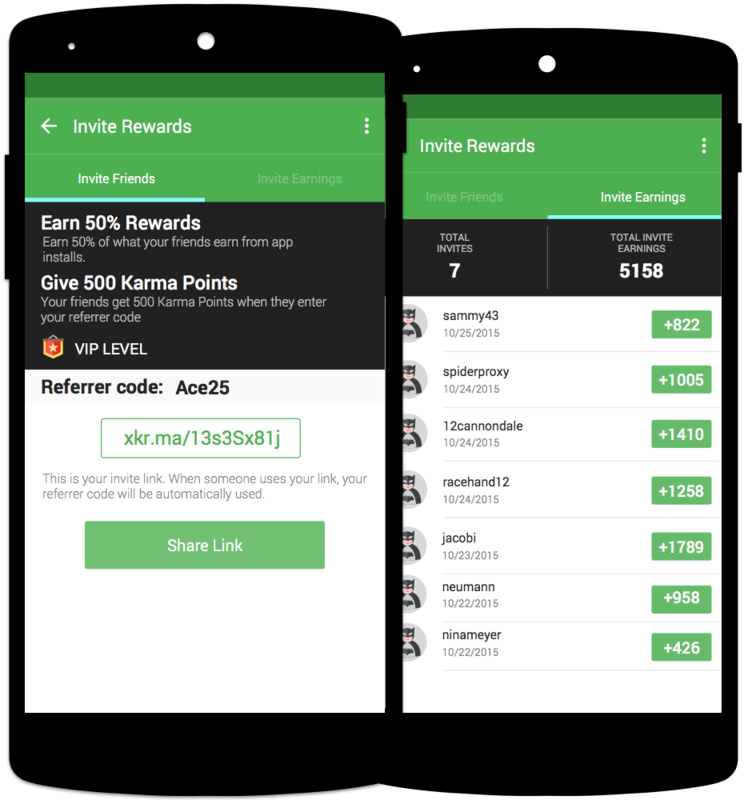 Share your invite link (or referrer code) and earn 30% of what your referrals earn. YouTubers, Become VIP and make even more money! 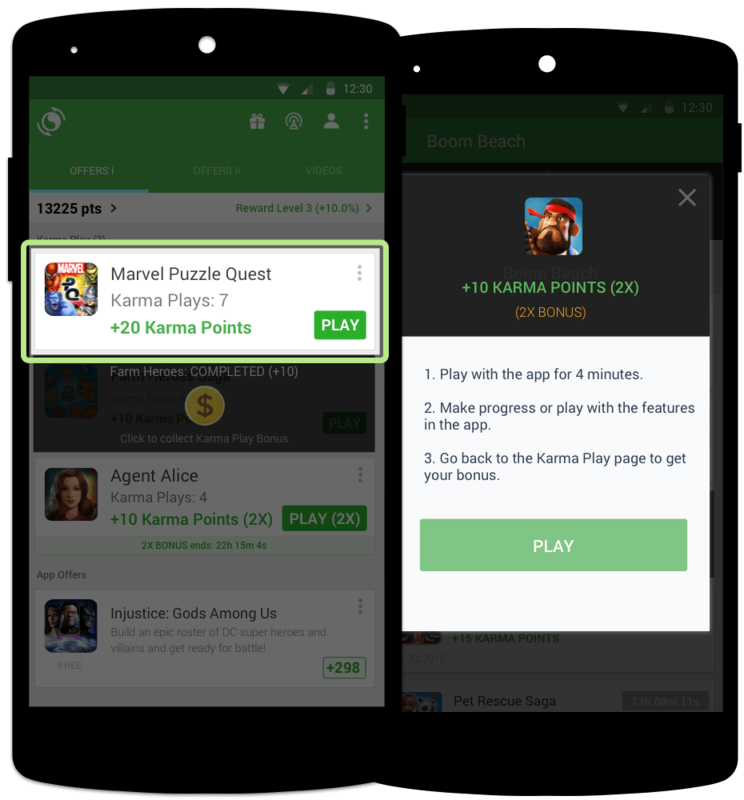 Karma Plays let you earn daily rewards for playing with the apps you've installed on appKarma. 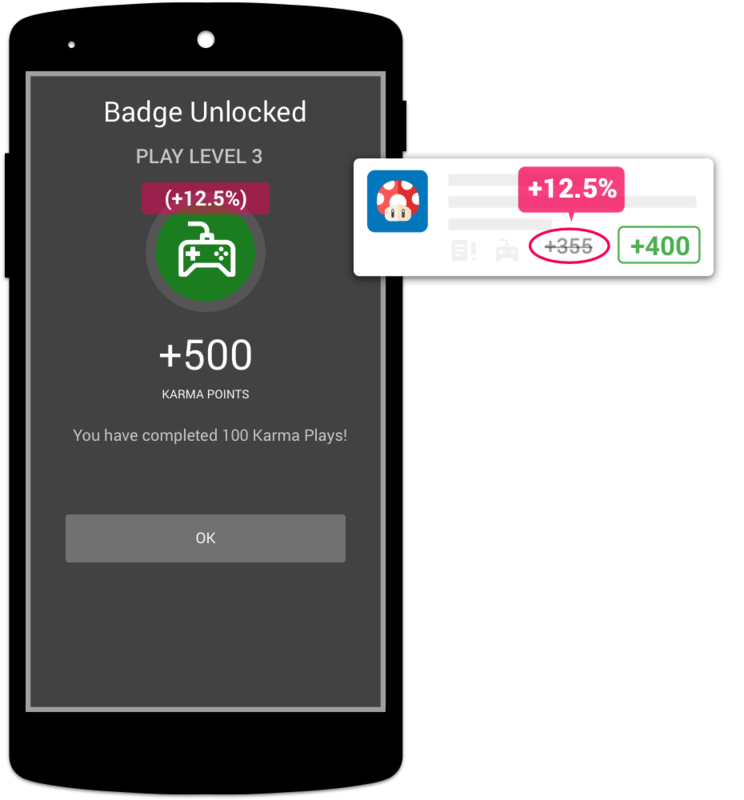 Increase your REWARD LEVEL each time you earn a Karma Play badge (Levels 1 - 4). 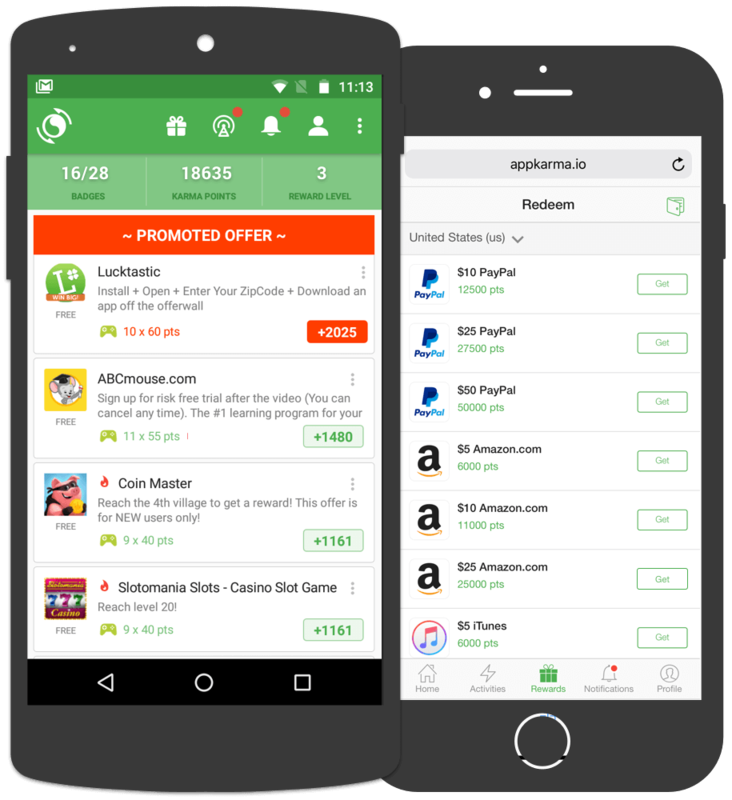 You can earn up to a 12.5% bonus each time you complete an app offer. Have Suggestions? Interested in working with us?